This is not a new book. It’s from 2010. 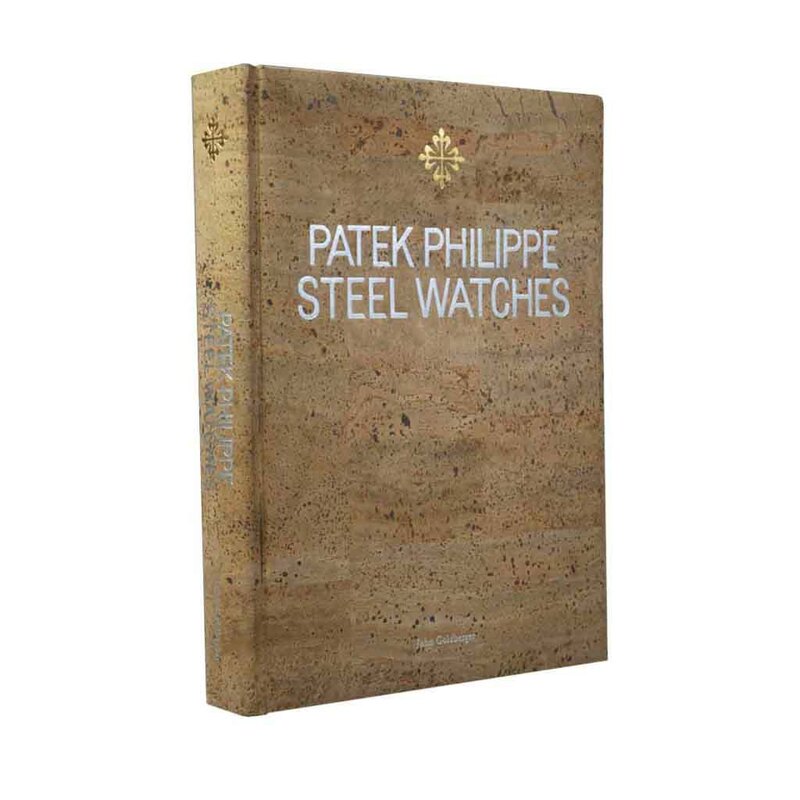 However, we noticed that the Patek Philippe Steel Watches book is still available. And as it is a limited edition, we thought it might be interesting to let you know. It is a book that every watch aficionado should have (read). The title explains it all: it is about the steel watches of Patek Philippe. Patek only started to produce steel watches in larger quantities at the end of the 1970s. Before that time, gold and platinum were the main metals for their wristwatches and pocket watches. Only on a few occasions Patek made a steel version of one of their watch models, mainly for doctors, military officers, and engineers. 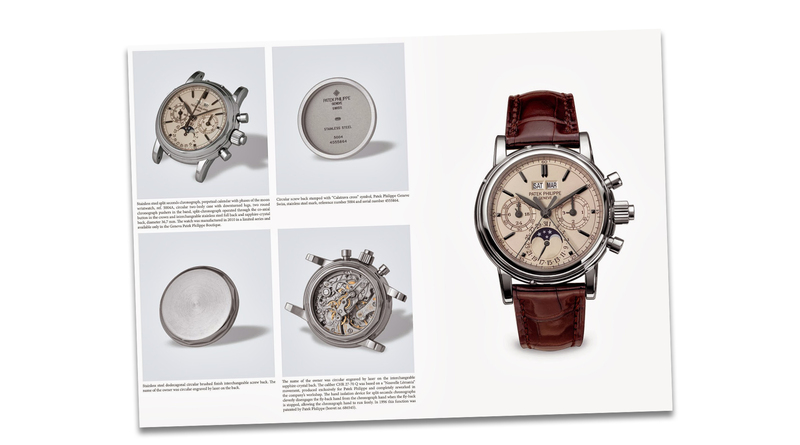 The Patek Philippe Steel Watches book describes known examples of steel Patek’s. Until 2009, so it ends with an Aquanaut Ref. 5167/1A-011 from that year. It is not just the references that are described but also each serial number. Including the famous Patek Philippe Ref. 1518A, until now the most expensive watch in the world. As the author says it is “by no means complete”. Still, it is impressive. Each watch has its own single page on the right. On the left are detailed photos and details about the watch: Reference, serial number, technical specifications, the buyer, production and sales dates, and much more. The author, John Goldberger, spend three years on research to create the Patek Philippe Steel Watches book. Goldberger has been collecting and studying vintage watches for over 40 years and wrote several books about Patek Philippe, Rolex, Longines and Omega. Besides the writing he also did the photography, design and production of his books, with stunning results. Looking at the Patek Philippe Steel Watches book one finds great details such as the steel looks of the slipcase and a hardcover from cork. 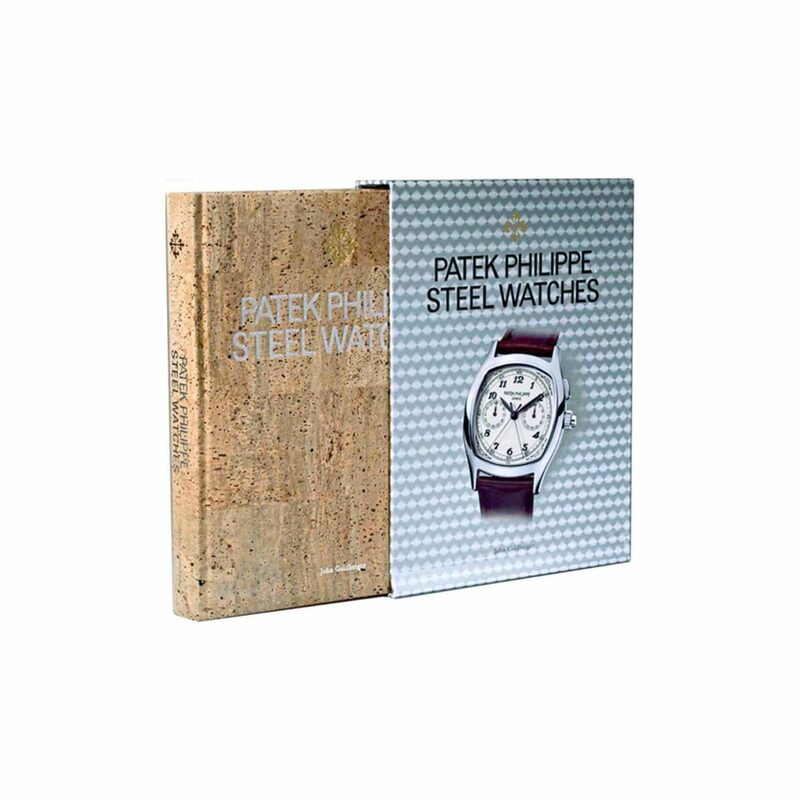 The steel looks refer to the subject of the book, the cork refers to the boxes in which some new Patek Philippe’s are delivered. Even the side of the pages are steel colored. 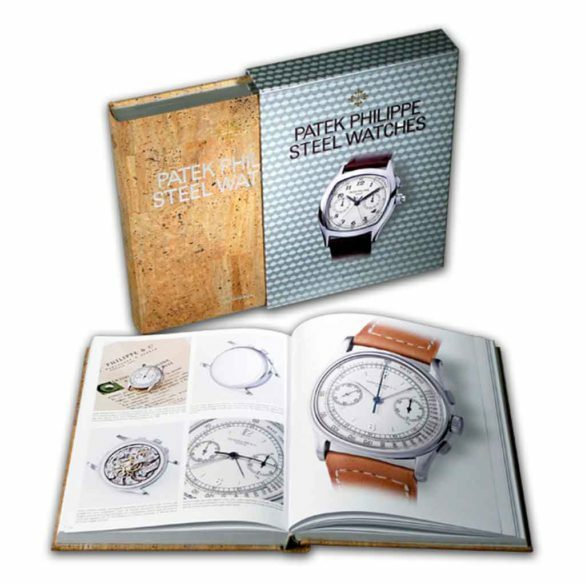 The basic version of the Patek Philippe Steel Watches book is limited to 2,000 copies and comes in a cardboard gloss metallic slipcase. The book is also available with a plexiglass slipcase, limited to 300 copies. Both are beauties on your coffee table. Here you can read more about the history of Patek Philippe.